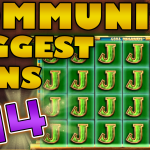 Last week was full of amazing slot wins, great bonuses and funny reactions from our favorite streamers. 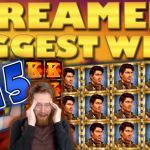 So today, we take a look at them all on the new Casino Streamers Big Wins - Week 19 / 2017 segment. Almost every streamer was lucky last week, some more than others. And from all the great wins, we bring you a compilation of the very best. The big hits are as interesting as they are diverse, ranging from low bets to high on a number of different slots machines. Today we include wins made from the 8th until the 14th of May 2017. To start the Biggest Casino wins on Stream - Week 19 / 2017 with David Labowsky’s full screen on the Winterberries online slot. The casino streamer was making €1.75 bets while playing on Super Lenny casino. The slot machine has an awesome feature that gives you re-spins if you make a win. In addition the symbols of the winning combo will stick in place and more similar symbol will mean more respins. The goal is to land enough to get the full screen. David Labowsky did it and the result was an big €400 win. The Cleopatra Last of the Pharaohs slot machine has huge potential. And you only need to see Nick’s win last week to understand it. While on a £2 bet Nick triggered the bonus spins feature on the casino game. An insane bonus with lots of wild reels, great combos and a total win of £1332. 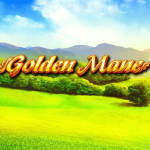 Try the online slot on MrGreen casino and let us know about your own opinion on the game. We are not sure what was happening on Casinomon’s stream last week, but we can’t really complain. Playing 3 different slots at the same time is awesome to see. More so if you get bonuses on 2 of them at the same time. But Casinomon did not get his two free spins features on any random slot machines! - It was on the Book of Dead and Book of Ra online slots. Both casino games gave spectacular bonuses and even more spectacular wins. Try both slots on Casumo which is one of the few online casinos to feature all tow of them. Best "base game" hit of last week goes to Slotspinner. The slot streamer was playing €1.5 bets on the Piggy Riches slot game when a full double line of the key symbol landed. The result? - A huge win of €450. You can find the Piggy Riches slot machine on most online casinos, including Trada Casino. The best thing about the Joker Pro slot machine is that if it pays it pays really big. The whole purpose of the game is to land a line of Jokers. And if you are lucky enough to do so, you get a 1000x win. This is what BlackCatSeve achieved, last week, while playing SEK 8 bets on CasinoRoom. An unreal hit of SEK 8000 and a very happy streamer. Frankly we couldn’t decide which of MiikaPekka wins to pick. 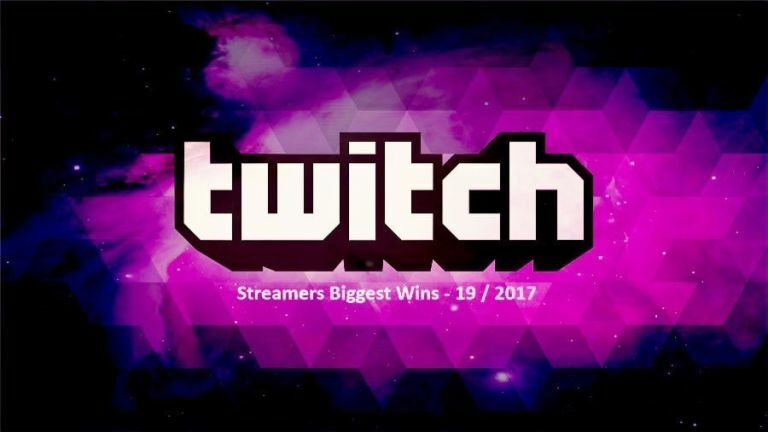 The casino streamer, not only plays a lot, but wins super big as well. 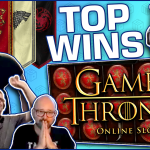 This time we chose to go with his big win on the Game of Thrones online slot machine. Not only because MiikaPekka got the bonus spins on a €1.2 bet and won a staggering €583. 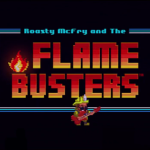 The main reason was, because it was on the very first spin of the game. For those of you who want to try the high volatile Microgaming slot! – You can find the Game of Thrones slot machine on most online casinos, including iGame casino. We close with Kim and his 2 consecutive big wins on the Knight’s Life slot game. While playing SEK 25 bets on LeoVegas the streamer triggered the free spins feature. The bonus was looking bad, however, like with all other slots from Merkur, it only takes one lucky spin. - Well in LetsGiveItASpin’s case it takes two. So two great spins, two awesome hits and one huge win of SEK 10475.